The awards are part of 12 that have been conferred across the UK. The title of Regius Professorship is a rare and prestigious award bestowed by the Sovereign to recognise exceptionally high quality research at an institution. Only 14 have been granted since the reign of Queen Victoria, including 12 to mark the Queen’s Diamond Jubilee in 2012. The recipients of the new Regius Professorships have been selected by open competition and judged by an independent panel of business and academic experts. A Regius Professorship recognises exceptionally high quality teaching and research at an institution. Announced in the government’s Productivity Plan in July, the new Regius Professorships will celebrate the increasingly important role of academic research in driving growth and improving productivity over the past 90 years. 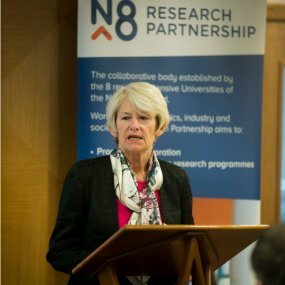 Professor Louise Robinson, Director of the Newcastle University Institute for Ageing, said: “I am delighted that we are able to join in the celebrations for Her Majesty’s 90th birthday with this award of a Regius Professorship in Ageing to Newcastle University.